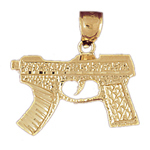 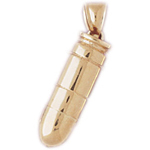 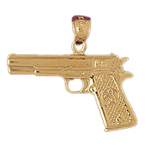 With 14K Gold Gun Charms you cant miss! 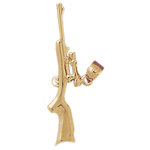 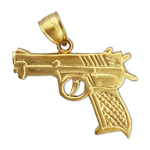 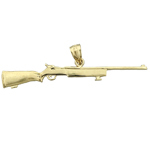 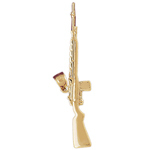 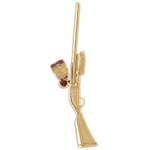 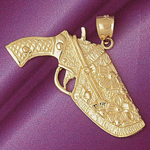 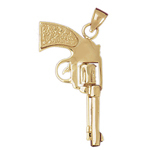 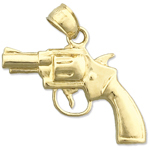 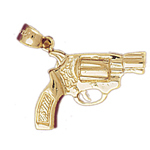 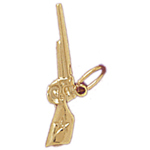 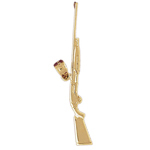 Gun Gold Charms make excellent gifts for Law Enforcement, Military, Hunters & Gamers, Cowboys and more! 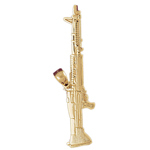 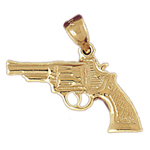 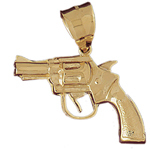 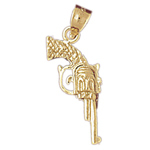 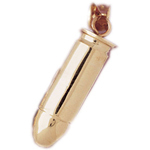 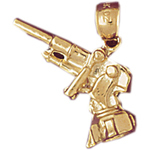 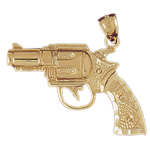 You'll find a variety of Gun Charms to fit your needs including Revolver Gun Charms, Riffle Gun Charms, Machine Gun Charms, Pistol Gun Charms, Artillery Gun Charms, Sniper Gun Charms and more with such attention to detail you may find yourself checking to see if it's loaded. 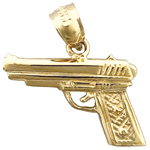 Beautifully crafted out of compelling 14k yellow gold, Gun Jewelry will command respect while adding a distinctive sense of style to your wardrobe.